Located at the southern tip of the West Malaysian Peninsula, Singapore is one of the most affluent cities in Asia. Being a multicultural society, Singapore welcomes tens of thousands of foreigners over each year. Though Singapore is a small city, the country is boasted with a number of attractions which lures many number of travelers to visit Singapore. Singapore Tourism is the largest source of income to the country. 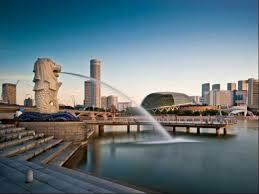 More than ten million tourists visit Singapore every year to see the most attractive places. Aside from best tourist attractions in Singapore, advanced health care system plays a vital role in attracting visitors to Singapore. The city is flocked with a number of best tourist attractions which include East Coast Park, Chinese and Japanese Gardens, Bukit Timah nature reserve, Mount Faber, Singapore Zoo, Fort Canning Park, Singapore Botanic Garden, etc. Visiting Singapore is enlightening not only because of some beautiful attractions but you will be educated by visiting certain historic and attractive places. If you are a shopaholic, then visiting Singapore will be the perfect option for you, as a great Singapore sale event will be conducted during the period in between May to June. The Singapore Tourist Visa application form will be available free of cost at all Singapore overseas missions. The Singapore Immigration and Checkpoints Authority (ICA) is the administrative agency that handles Singapore Visit Visa issues.